When I met Henry Debenedetti in the 1970s, the colorful history of Miramar Beach was tugging at my curiosity strings. 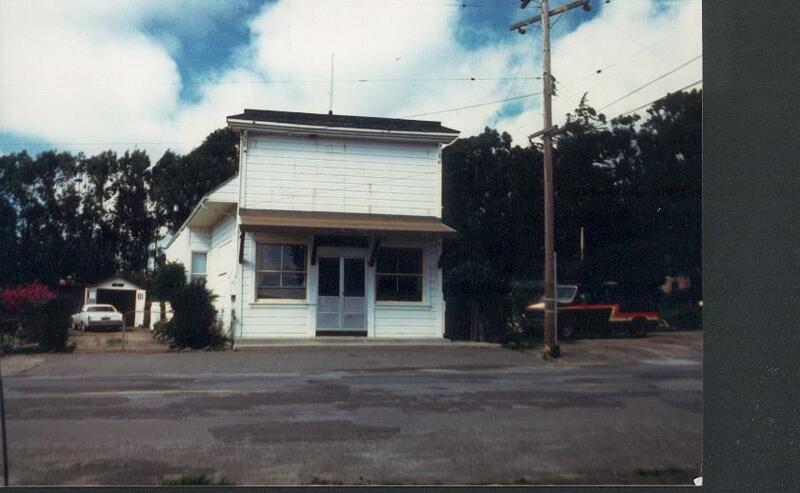 I already knew about Maymie, the red-haired madamâwho ruled not only the prohibition era roadhouse that her lover-carpenter built for herâbut her powers (political-financial) seemed to extend southward into the little town of Half Moon Bay. My evidence: I have had reliable reports from those close to the action that Maymie was often seen in the company of the townâs banker and his wife and friendsâa strictly spreadsheet type of relationship. Miramar was at the center of everything. It had even been chosen as the best spot for a tiny port, the first one on the Coastside, despite the unpredictable winds that finally closed it down. 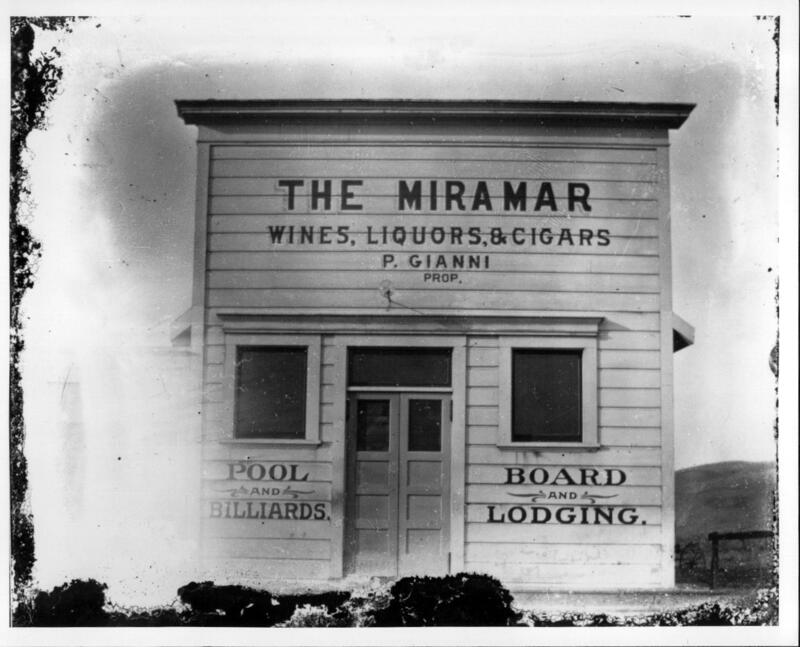 There was one mystery I hadnât solvedâa name locals attached to Miramar, a name I wasnât getting right. âPeach Chiano,â? thatâs what I thought I heard locals call himâbut I knew that couldnât be someoneâs name. Maybe a nickname? Soâwhen I encountered Henry in the library after the Thanksgiving of 1976, Miramar and âPeach Chianoâ? were on my mind. Henry ticked off a list of things he remembered about Miramar. The one that grabbed my attention most was âPete Gianni. He had a wild temperâ¦.â? And he was involved in a horrendous crime that shocked the community after WWII. Henry cleared it all up. Pete Gianni was my man. I took a quantum leap forward in my quest when Spanishtown Historical Society member âPatsyâ? Dutra gave me a significant set of clues. Her then 89-year-old father, Mac, sometimes called âDukeâ?, had owned the townâs funeral parlor. 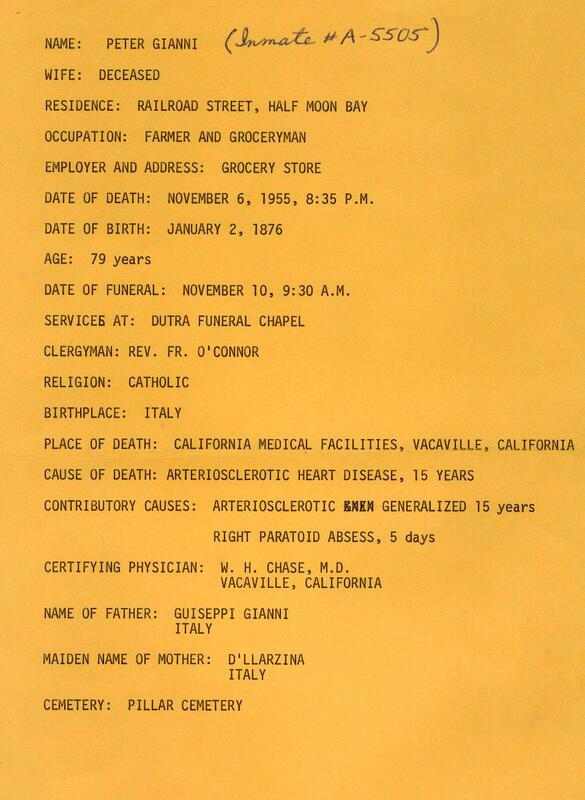 Patsy furthered my investigation by giving me the funeral homeâs report on Pete Gianni, then long deceased. Gianni was well known on the Coastside, the owner of a grocery store in Miramarâwhere local Italians gathered to dance on weekends. Some described him as kind and quiet, others as easily incited. As long as his business prospered, the widower seemed content. But after WWII ended, and the soldiers stationed on the Coastsideâmany of whom frequented Gianniâs store scattered to begin new lives elsewhere– Pete Gianniâs grocery business slipped sharply and he considered taking on a partner. The 72-year old Gianni knew and respected the Shaw family of El Granada, 36-year-old Lincoln, his 33-year-old wife Agnes, and teenage daughter Carolyn. Lincoln had attended schools in San Mateo County, including the junior college and Agnesâs father was a respected Burlingame contractor. During the war fish oil was in high demand and Lincoln made a good living working as a commercial fisherman at Princeton. When the war ended, so did the demand for fish oil and Shaw looked for new opportunities. To save money, the Shaws moved in with their Burlingame relatives. Pete Gianni and Lincoln Shaw cut a deal as Lincoln paid the grocery owner $1000 for an interest in the business. The Shaws would continue to live and commute to Miramar from Burlingame. Under the new proprietors, the grocery store thrived and prospered. Instead of feeling proud, Gianni seethed, feeling he had been cheated in some way. After the first of the year in 1947, neighbors heard the angry voice of Pete Gianni at the grocery store. The old man was armed with a shotgun, yelling at Lincoln Shaw, angry about the rent, saying he wasnât being paid enough. Shots rang out. Lincoln was mortally wounded. Gianni spun around, pointed the weapon at Agnes and her daughter, Carolyn, threatening them but he didnât shoot. Running out of the store, he drove away in his car, the destination his longtime friend and veteran Redwood City criminal attorney Joseph Bullock, also known as the âverbal volcanoâ?. But in the end there wasnât a trial. Pete Gianni pleaded guilty to murder and was sentenced to prison, passing away at the Vacaville Medical Facility in 1955. Pete Gianniâs horrific crime stunned the Coastside community, and 20 years after his death, everyone who lived in Half Moon Bay remembered his name. Note: the second photo is of the Gilles Grocery Store in Miramar, last time I saw it it was a private residence and in the hands of the Gilles family.